The massacre of young students in Newtown, Conn., last month continues to resonate, especially in the minds of many who grew up in small, rural communities where schools were an extension of families and neighborhoods. "The stories of heroic actions by teachers at Sandy Hook Elementary made me think of the impact teachers have had in my life and the lives of other students I know," writes Betty Dotson-Lewis, who "grew up in a coal-mining community on a one-lane road in the remote mountains of rural West Virginia. Our school and church were the center of our lives. Religious activities took place in church; all other community activities were held at our school, including club meetings, dances and voting. Teachers were the leaders of our community." Dotson-Lewis recalls how her first-grade teacher became a surrogate mother, and adds a line from her co-author, Kathleen Colley Slusher, a retired Kentucky teacher: "I was not surprised by the stories of sacrifice and bravery at Sandy Hook. Teachers and their students are truly family to each other; it is because of each other that they stand hand-in-hand even in the face of the unspeakable." Each writer followed that prose with lists in a sort of blank verse, saying what they are or have accomplished "Because of Teachers" and "Because of Students." To read their inspiring words, in PDF on the site of the Institute for Rural Journalism and Community Issues, click here. 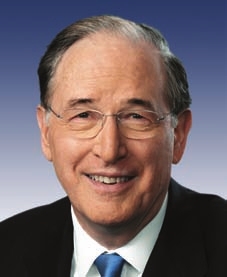 U.S. Sen. Jay Rockefeller, a West Virginia Democrat who has represented the state for 27 years, announced today that he will not seek reelection. He said the decision was motivated by his family, not because of a 2014 election challenge from Republican Rep. Shelley Moore Capito. Rockefeller came under fire in his home state last election season for remarks in opposition to some coal industry strategies. "This is obviously a huge blow for any efforts to have more reasoned and forward-thinking discussion of coal-mining issues in West Virginia," writes Ken Ward Jr. of The Charleston Gazette. During his announcement, Rockefeller, 75, thanked "all West Virginians, who took me in, transformed me and supported me." He continued: "There's a tremendous amount of greatness here, but also of hurt, and I have sought to ease life and the burdens of people who are forgotten." West Virginia has voted increasingly Republican at the presidential level, notes the Gazette's Paul Nyden, and political analysts predicted a close race between Rockefeller and Capito. UPDATE, Jan. 12: Manuel Roig-Franza of The Washington Post writes about Rockefeller as the last member of a political dynasty, critic of coal and "the author of the Children’s Health Insurance Program, better known as CHIP, which provided coverage to 8 million children." Unemployment in rural and exurban counties (those in metro regions, but with at least half the residents living in rural settings) has been steadily decreasing for the past several months, but there were fewer people in the rural workforce in November 2012 than the year, according to Bureau of Labor Statistics data analyzed by the Daily Yonder. 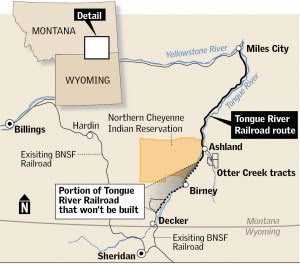 The Tongue River Railroad would haul about 20 million tons of coal annually from a planned Arch Coal Inc. strip mine near the Northern Cheyenne Indian Reservation. Opponents say the $416 million railroad would spur more mining along the railroad's path in Montana, Idaho and Washington. They allege the railroad's owners "intentionally played down the scope of the project by saying it would haul an average of 7.4 full and empty coal trains a day," which counts only Arch's initial mine plan, Brown reports. Another rail line proposed as part of the Tongue River plan would create access to other coal fields in the region, with at least one other mine proposed in that area. Hallacher scaled each steak's size to the total pounds of beef each state ships each year, them packaged them in Styrofoam and shrink wrap, "so they look just like those rib-eyes and tenderloins you grap from your grocery refrigerator," writes Michaeleen Doucleff of NPR. Nebraska is the biggest steak in the series because of the 7.2 billion pounds of ground beef it produced in 2011. 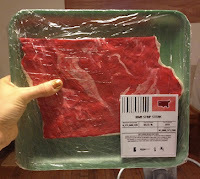 Texas, which is the fourth-largest beef producer, is the smallest steak. The modeling-clay steaks are very realistic. They even contain white clay swirls to imitate marbled fat and represent rivers. Hallacher said she thought about using real steak, but she couldn't stand the thought of wasting so much food, and she wanted people to be able to safely handle and examine the steaks. The primary goal of the project, Hallacher tells Doucleff, is education. She wants people to explore the data "behind America's beef industry through a hands-on, tactile experience." As West Virginia weighs the possibility of stocking its forests with elk, The Charleston Gazette's John McCoy considers the successes and failures of similar programs in bordering states. 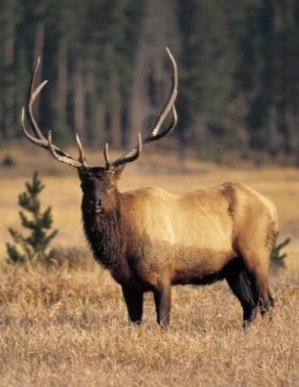 Some hunters want the state's Division of Natural Resources to start introducing elk, but opponents are concerned that "reintroducing such large animals might cause unforeseen impacts," McCoy reports. The federal government has started to require special certification before primary health-care providers can keep getting extra Medicaid payments. Primary-care clinics, which most often serve rural areas, could lose millions in funding if they aren't certified. For example, more than 150 primary health providers in Kentucky will lose $60 million in supplemental Medicaid payments beginning Feb. 1, the Center for Medicare and Medicaid Services told the state Cabinet for Health and Family Services. The federal center said it could no longer support the payments to 155 primary-care providers because those facilities no longer have the correct federal designation, Beth Musgrave of the Lexington Herald-Leader reports. The USDA listed 597 counties in 14 states as natural disaster areas, Charles Abbott of Reuters reports. 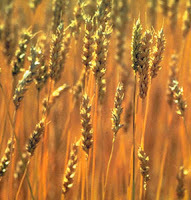 More than half of those counties are in the Wheat Belt, which runs from Texas to North Dakota. All but one of Oklahoma's 77 counties were listed, as well as 88 of Kansas' 108 counties, 30 of 64 in Colorado and 157 of 245 in Texas. Disaster areas were also declared in Alabama, Arkansas, Arizona, Georgia, Hawaii, Missouri, New Mexico, Nevada, South Carolina and Utah. Case against OxyContin maker will be heard in Ky.
A state court will hear the Kentucky attorney general's 2007 lawsuit against OxyContin manufacturer Purdue Pharma, against the wishes of the company. The U.S. Court of Appeals for the 2nd Circuit affirmed a lower court's order returning the suit to Kentucky from New York's Southern District, where Purdue wanted the case heard. The suit was filed in Pike Circuit Court, in Kentucky's easternmost county. "After years of delay tactics, Purdue will now answer to a Kentucky court and a Kentucky jury," Attorney General Jack Conway said. Purdue Pharma spokeswoman Libby Holman said the company is disappointed by the decision, but now it is "fully prepared to vigorously defend this action on its merits, and we expect to prevail." Then-AG Greg Stumbo and Pike County sued Purdue Pharma in October 2007, alleging that the company's "aggressive and deceptive marketing campaign saddled taxpayers with millions of dollars in social, health care and other costs," Laura Ungar of The Courier-Journal in Louisville reports. The suit also alleges the company misled health-care providers, consumers and the government about the highly addictive nature of OxyContin. The suit is largely based on admissions of guilt made by the company and several top-ranking company officials in a May 2007 Virginia federal court settlement. Purdue Pharma, its president, chief legal counsel and former medical director pleaded guilty to misleading doctors, regulators and patients about OxyContin during that case. Rural and urban children entering kindergarten are less likely to have advanced reading and math skills than their suburban counterparts, according to a University of Pittsburgh correlation study published in Early Childhood Research Quarterly. Psychologists Portia Miller and Elizabeth Votruba-Drzal theorize that the very different environments in which rural and urban children are raised from birth to five-years-old contribute to reading and math deficits in similar ways. The researchers drew conclusions from a study of 6,050 children who were tracked from birth in 2011. They separated children into four areas: rural, suburban, small city and big city. They analyzed academic performance and the students' child-care and home environments. They tried to consider selection bias in the populations to pinpoint potential causes of disparities. This isn't the first research to find early academic deficits in rural kindergartners, but it is unique in reporting some links to early life in a rural environment, Eric Jaffe of The Atlantic reports. Miller and Votruba-Drzal concluded that rural kindergartners grew up with fewer educational materials and lower rates of commercial or institutional daycare than suburban and small-city children, suggesting that "geographic isolation" may be a "damaging factor" in early childhood academic development, Jaffe reports. The researchers also concluded that rural communities may have fewer "cognitively stimulating" institutions, such as libraries and museums. Rural knowledge about education may also play a role, they concluded, because rural parents in their study "had relatively less knowledge of child development and lower expectations of academic achievement." The Food and Drug Administration will force generic manufacturers of powerful pain pills to switch to a tamper-resistant composition if it finds evidence the composition curbs prescription drug abuse and addiction, Alan Rappeport of The Financial Times reports. Public-health advocates worry that if generic versions of opiate pills are not made tamper-resistant, the prescription drug abuse epidemic may worsen. If the agency finds tamper-resistance significantly deter abuse, it has legal authority to require generic drug makers to switch their opiate formulas. Just as manufacturers of some pain pills began switching formulas to make the pills harder to crush, easily crushable, generic forms of OxyContin and Opana were released. Purdue Pharma and Endo Pharmaceuticals, which make Opana, have hoped to extend patent life of their drugs by pushing the FDA to prevent generic makers from using old versions of their drugs. Generic makers argue this will keep patients from buying cheaper drugs. 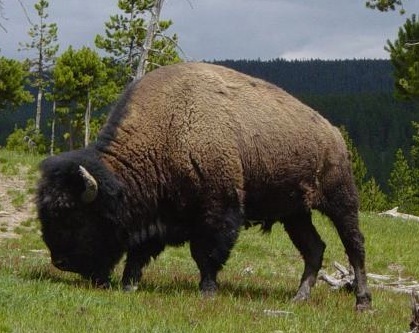 Thousands of bison migrate out of Yellowstone during severe winters, and were subject to mass slaughter because of fear they would transmit brucellosis to livestock. Gov. Brian Schweitzer banned those killings two years ago. But when hundreds of bison returned to Gardiner Basin outside the park, local officials said they threatened safety and destroyed property. strip mines housing endangered species. 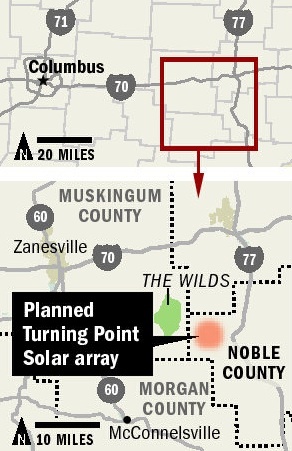 The commission said AEP didn't prove the necessity for the Turning Point Solar facility southeast of Zanesville, and left it up to the company to provide further justification for its construction. The agency said it remains open to finding ways to make the 49.9-megawatt project happen, but AEP spokeswoman Terri Flora told Gearino the vote undoes years of work by the company and is a severe blow. 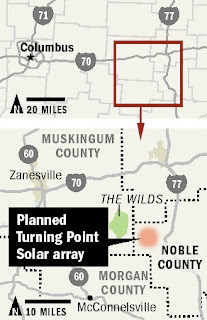 The Ohio Democratic Party and environmental groups called the decision a job-killer and an abandonment of clean energy. The only Democratic commissioner was the only dissenter. AEP was to be the key buyer of power from the facility, but several other companies were involved. AEP had hoped to pay for the electricity from Turning Point by making all its customers cover some of the cost through a new utility-bill charge. 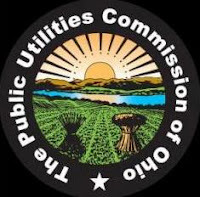 The commission had previously agreed to allow such charges "if there was a clear need and if the free market was not going to provide a similar resource," Gearino reports. 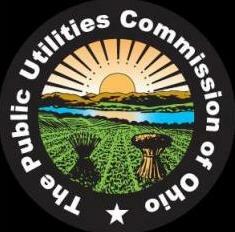 Because the commission rejected the new utility charge, AEP is left with no clear way to pay for the solar project. state seal, is dominated by the sun. New wave of rural Southern reality shows most watched by Southerners; but how real are they? "The rural South is the hottest thing in TV right now, and it's not Northerners gawking that account for the staggering ratings -- it's Southerners," writes Kate Storey of the New York Post. 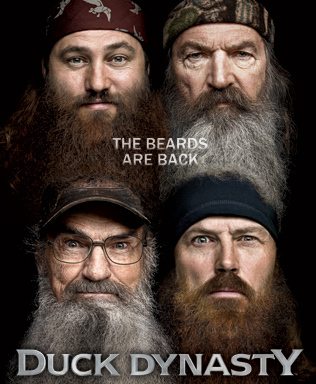 Eight of the top 10 markets for the A&E series "Duck Dynasty," about a Louisiana bayou family that made millions from a duck-call business, are in Southern cities -- No. 1 in Knoxville, No. 2 in Birmingham. According to digital research company Trenderr, 63 percent of the social-media conversations about "Duck Dynasty" originated in the South, which the company defines as the former slave states plus Oklahoma. The second most popular show on Facebook last TV season was TLC's "Here Comes Honey Boo Boo," about a 7-year-old Georgia beauty contestant and her family. Smart, poor rural teens less likely than urbanites to apply for nearly free Ivy League educations; Why? This quandary left school officials wondering why these types of students were not coming to their universities. 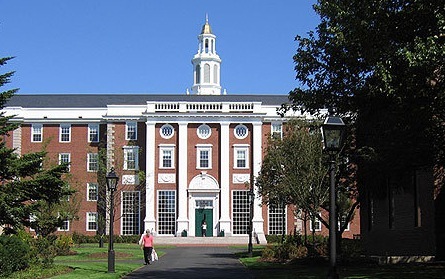 Recently, Harvard University offered an essentially free education to students whose families earned less than $40,000 a year, but the number of new freshmen from these backgrounds rose by less than 1 percent. Administrators thought "the pool of low-income students with top credentials was just limited," Vendantam reports, but Stanford University economist Caroline Hoxby found that isn't true. There is a vast number of high-achieving students from low-income backgrounds; they just aren't going to Ivy League schools. Why? Hoxby discovered that 70 percent of academically gifted low-income students who apply for Ivy League schools come from 15 large metropolitan areas that often have highly regarded public schools. Students from those areas have almost 100 percent odds that they will attend an Ivy League school. Similar high achievers from rural areas, however, were significantly less likely to go to top colleges. "The reasons are straightforward," Vedantam reports: Urban schools have top teachers, terrific guidance counselors, vast resources and highly selective colleges send scouts to them to recruit top students. There's also a higher density of high-achieving students at urban schools, giving those students a peer group of support, many of whom will also attend top schools. Rural high-achieving students are less likely to have any of those resources, especially a similar peer group because the density of academically gifted youth is much lower and a less frequent occurrence where they live." The percentage of rural people living in poverty increased to 18.3 percent in 2011, up from 15.8 percent in 2007, according to Census Bureau data. Poverty increased faster in urban counties, but poverty rates in rural counties remained higher than in cities and "exurbs," areas in metropolitan regions where about half or more of residents live in rural settings, reports Bill Bishop of the Daily Yonder. The Yonder map above (click on it for a larger version) shows the change in rural poverty rates from 2007 to 2011. 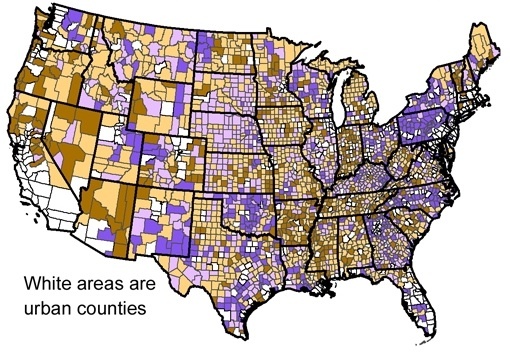 Rates in red counties rose by more than 5 percentage points (252 counties), orange rose by 3 to 5 points (527), green rose by less than 2.9 percent (1,320), and purple counties' rates remained the same or declined (449). Not too long ago, almost all rural judges traveled a circuit of courthouses to deliver once-a-month justice in communities far from city centers. Now, in the wake of urban sprawl and added judgeships, most judges are fixed to a single courtroom, but a handful still keep the tradition of their title's definition alive. 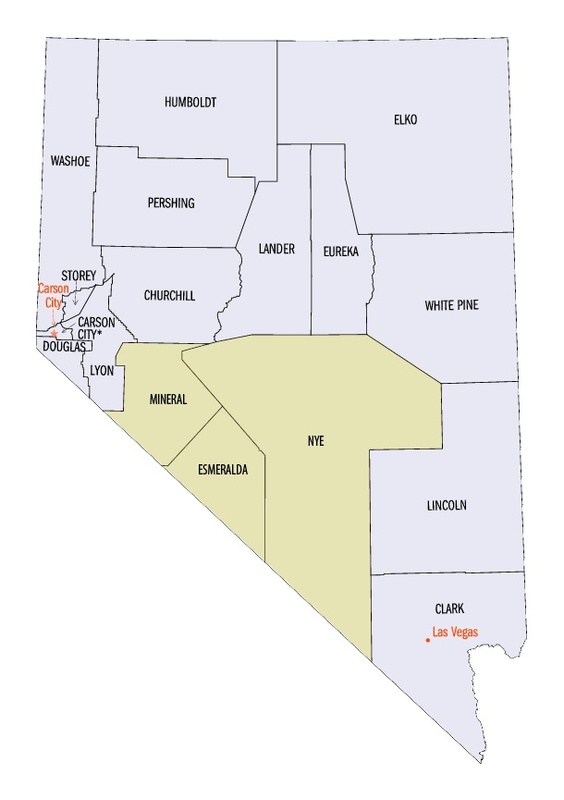 John Glionna of the Los Angeles Times writes a good profile of the new judge in Nevada's 5th District (Wikipedia map) that could be an example to the rural reporters in areas where judges still roam, especially in the West. 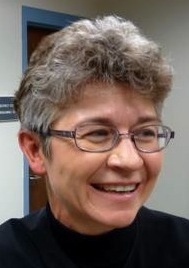 Judge Kim Wanker ("Wahn-ker," the Times notes) travels her mostly rural district once a month on a highway that "is a straight line into the desert's nothingness, where cows begrudgingly relinquish their spots on the hot asphalt," Glionna writes. 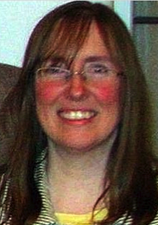 She is "one of a dwindling number of judges who still wander the West's wide-open spaces." Most of Montana's 56 counties are served by traveling judges; budget cuts threaten the practice in Wyoming, which may force litigants to come to the judges, not the other way around. Wanker's 5th District covers just Nye, Mineral and Esmeralda counties, but that's 25,000 square miles, an area larger than West Virginia. Most of the district's 50,000 people live in one town, leaving an average of just 3 people per square mile for the rest of the district. News coverage of climate change could make a comeback in 2013 after three years of decline, but "The media continue to pay it scant attention, and a lot would need to happen in 2013 to change that," Curtis Brainard of Columbia Journalism Review writes. The Daily Climate, a website that tracks media coverage about climate change, found a 2.4 percent drop in coverage last year from 2011. But some media trackers say the number of climate-change stories is slowly increasing. The University of Colorado's Max Boykoff has tracked climate change coverage in The Wall Street Journal, The New York Times, USA Today, the Los Angeles Times and The Washington Post since 2000. He found a 42 percent year-to-year increase in climate-change stories at those papers in 2012. Drexel University's Robert Brulle found that NBC, CBS and ABC almost doubled their coverage from 2011 to 2012. "Those numbers are reassuring, especially since they attempt to measure total production at each outlet," Brainard writes. DTN/Progressive Farmer agricultural meteorologist Bryce Anderson told Javier that the drought will continue through the spring planting season "unless there's a sudden change to very wet conditions." 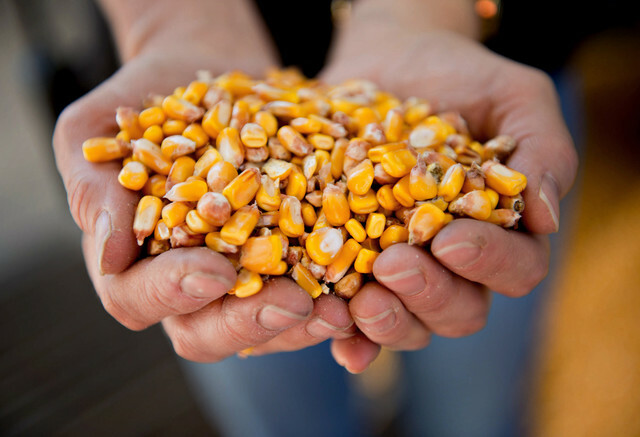 The U.S. is the world's largest grower of corn and second largest grower of soybeans. The drought increased crop prices, which drove up food prices in foreign countries. Global supply concerns were just starting to ease, as corn most recently traded at 19 percent lower than August and soybeans at 20 percent lower. Still, "There's nothing in terms of changes in climate positions to suggest that the drought is going to be short-lived," Jim Dale, British Weather Services senior risk meteorologist, told Javier. MTV's most recent addition to its reality show pantheon is "Buckwild," which centers around a group of West Virginia teens whom the cable network has deemed a free-willing and authentic representation of what life is like for Central Appalachian youth. But the show's stars "represent something important," writes University of Kentucky philosophy professor Alexandra Bradner (right): the faces of exploitation. "Cultural persecution and its social psychological effects are nothing new to the hardworking and hard-suffering people of West Virginia," Bradner writes in Salon. She notes NBC's "Saturday Night Live" had a running skit called "Appalachian Emergency Room," and CBS hoped to produce "The Real Beverly Hillbillies," in which a poor Appalachian family would have moved to Beverly Hills. Even news programs "seem to exploit the region," Bradner writes. PBS Frontline's "Country Boys" in 2006 and ABC's "Children of the Mountains" in 2009 tried to draw attention to the reality of poverty's effect on the region's children, but "both ended up exaggerating underlying stereotypes through their salacious choice of subject matter." The latest show displays "ways in which Appalachian folk are superficially different than sophisticated urbanites: Appalachian people talk differently, have different hairstyles, live in different kinds of homes, and drink and eat different stuff," but not the harder realities of the region, Bradner writes, for two reasons. One is to avoid reminding the rest of the nation that the region has real needs, by making the audience believe that "the kids of 'Buckwild' are free and creative in ways that alienated, urban kids with cellphones will never be." If we we asked why the kids don't have cellphones and Internet, "We would have to care about [them] and help [them]. And that's no fun," Bradner writes. The second reason is more "deeply psychological:" The "non-Appalachian viewing audience needs this manufactured 'other,' in order to see itself as sophisticated and cosmopolitan -- as better. . . . Without the foil, we would have to face our own poverties, our own barbarism, our own shelteredness, our own actual lack of sophistication." In other words, most people, at least subconsciously, want to look down on someone. In a phenomenon that could be happening in rural areas across the U.S., rural infants in California are less likely to be admitted to hospitals and will spend fewer days in the hospital when they are admitted than their urban counterparts, according to a University of Pennsylvania study. Despite that trend, there's no significant difference in mortality rates between rural and urban babies. The study focused on California because of the state's availability of data. Researchers studied babies in their first year from 1993 to 2005, which was more than 6.4 million infants. The study, published in the November issue of Pediatrics, found that 9.8 percent of urban babies were admitted to the hospital in their first year, compared to just 8.9 percent of rural babies. UPDATE, Jan. 11: Vilsack tells Brownfield that he would like to stay on, as President Obama shuffles top advisers. The agriculture community is asking many questions after the 2008 Farm Bill was extended instead of being replaced by a new one as part of Congress' fiscal-cliff package, Ken Anderson of Brownfield Ag News reports. Some are calling the extension "a fiasco." Others are discussing a big question, he writes: "Is the fact that Congress failed to pass a new five-year Farm Bill in 2012 a sign of the agriculture sector's declining influence on Capitol Hill, and with the public in general?" Agriculture Secretary Tom Vilsack raises the idea in December in widely circulated remarks about the bill's fate showing rural America having lost political relevance. He told Anderson that he's still concerned rural America is losing sway in federal politics. "I think we need a broader message here, and I think 2012 was a wake-up call for all of us about the need for a more proactive message," Vilsack said. "A need to reach out and develop new and stronger alliances — and to be getting the agricultural message not just in agricultural publications and in agricultural meetings and discussions, but in discussions throughout the economy and throughout the government." 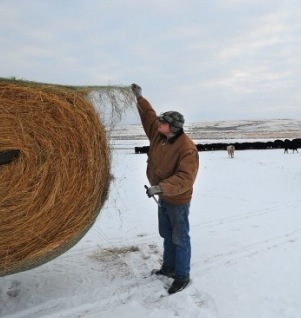 Many farmers are dealing with a new wave of uncertainty as a result of the Farm Bill extension. Vilsack spoke with NPR's Ari Shapiro on "Talk of the Nation" yesterday about that uncertainty and why the Farm Bill is so important. "Farmers are expressing some frustration about the fact that they were close to getting a five-year program that would have been comprehensive, that would have had a series of reforms, that would have assited in dealing with the fiscal challenges the country is faced with," Vilsack said. Now, they face uncertainties about what policies are going to be and how much support they will receive from subsidies and crop insurance, he said. UPDATE, Jan. 9, 2013: Vilsack told Mike Adams of AgriTalk yesterday that he needed to clarify his statements about the relevance of rural America: "There’s a difference between the relevance of rural America and the political relevance of rural America, and people are failing to make that distinction. I want to make sure I explain it more succinctly. Rural America has never been more relevant to the rest of the country as a source of food, water, fuel, energy, et cetera. But its political reality is tied, in part, to the fact that there are fewer people, as a percentage of America, living in rural America than ever before. With fewer people, with population losses, more than half of our rural counties actually lost population, and when that happens and you have reapportionment and realignment of legislative districts and congressional districts, you have fewer and fewer people in Congress who understand the importance and significance of rural America." He continued: "The fact that leadership in the House felt that they could, without much pushback, pull the plug on the work of the Senate Agriculture Committee and the House Agriculture Committee, and not get that five-year farm bill done at a time when we could have provided additional savings towards the fiscal challenges that we face, is a wake-up call for all of rural America." "Symbolic of the debate we're not having about government's size and role, the essence of the deficit problem, is the future of farm subsidies," writes economic columnist Robert Samuelson of The Washington Post. Subsidies cost the federal government about $10 to $15 billion a year, but "don't do much good," Samuelson contends. He says they don't help small farmers, and farm income is at record highs without subsidies. Farm subsidies were created in the 1930s as a response to instability caused by floods, droughts, pests and market swings, but Samuelson says this is no longer the case for farmers, whose jobs have been vastly improved and made more efficient and reliable by technological advances. "Government support for agricultural research and food safety can be justified. But direct subsidies to farmers can't," Samuelson writes. He says subsidies qualify as "low hanging fruit" in cutting spending, but "what's instructive is that no one is doing it." Instead, he writes, Congress plays a "shell game" of retiring subsidies when they aren't effective and replacing them with similar programs under different names. "In Congress, ending subsidies is unthinkable," Samuelson writes. The Senate's version of a new Farm Bill would end direct payments to farmers, but the combined cost of direct subsidies and crop insurance would still average about $14 billion annually from 2013 to 2022, according to the Congressional Budget Office. Meanwhile, no one is asking whether or not these programs would be created today or why there's a need to subsidize farmers who are making record profits, Samuelson says. 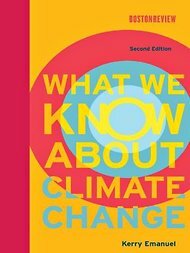 Climate scientist Kerry Emanuel has updated his 2007 book, What We Know About Climate Change, explaining the most up-to-date science about global warming. Justin Gillis of The New York Times reports the new version is "an improvement, perhaps even the single best thing written about climate change for a general audience." The new version updates climate science with the latest numbers, and adds chapters about potential solutions to climate change and "the bizarre politics that have cropped up around it in recent years," Gillis writes. He says the book is "dead accurate" about what we know and don't know about climate change, but Emanuel, of the Massachusetts Institute of Technology, keeps all his language taut and simple so "nobody is likely to be intimidated by the book or to feel put out at being asked to read it. Emanuel told Gillis the point of the book "is to give people some ammunition when they encounter the kind of contrarianism about climate change that has become pervasive in the U.S.."
The rules are an attempt to prevent food-borne illnesses before they begin by requiring farmers to play a role in detecting contamination before food is sent to stores or restaurants. Specific changes would require better recordkeeping, contingency plans for dealing with disease outbreaks, and prevention measures to stop the spread of contaminants. Farmers would have some leeway in implementing rules, but they would have to make sure irrigation water met certain standards. Food processors would have to find ways to keep contaminated fresh food from coming into contact with cooked food. 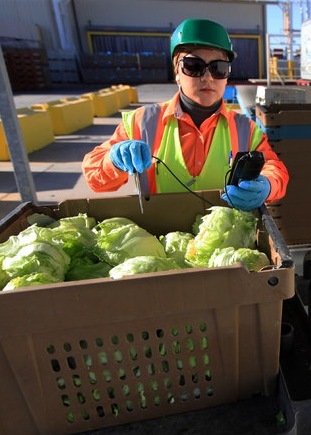 Farm workers might also be required to wash their hands, portable toilets might be installed in fields, and processors might also have to make sure food is cooked enough to kill bacteria. 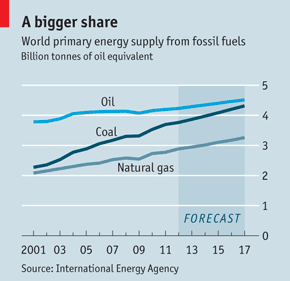 The use of coal as an energy source is losing favor in America, a trend that is likely to continue, but just the opposite is happening elsewhere, The Economist reports. 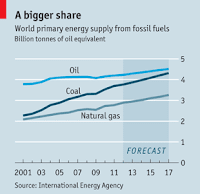 In the U.S., cheaper, more abundant and cleaner-burning natural gas is currently leading the energy-source popularity contest, and more strict Environmental Protection Agency rules are decreasing the economic feasibility of mining and burning coal. Faced with these economic realities, mining companies are shifting U.S. operations. However, coal-fired power plants still provide two-thirds of the world's electricity, and though many coal-fired plants will be going offline in the U.S., such plants are increasingly being built in other nations. China is driving the worldwide market for coal. In 2011, it overtook America as the world's largest electricity producer. In 10 years, the International Energy Agency estimated, Chinese coal demand had tripled. But in the U.S., coal provided only a third of America's energy in 2012, just over half of the 60 percent figure recorded in 1988. A working group led by Vice President Joe Biden is considering more changes to gun laws than simply reinstating an expired ban on assault weapons and high-capacity ammunition, Philip Rucker of The Washington Post reports. The group is thinking about measures backed by "key law-enforcement leaders" that would require universal background checks, track movement and sale of weapons through a national database, strengthen mental health checks and increase penalties for carrying guns near schools or giving them to minors. There's been an increase in "foodie" culture recently. Consumers are becoming more savvy about types of food they buy and grow, often opting for organic meat and produce. Food blogs and columns have also been on the rise, but Daily Yonder co-Editor Bill Bishop, left, says they seem to "write about food as if farmers and rural communities didn't exist." One in particular, Mark Bittman of The New York Times, suggested Jan. 2 that America needs to "fix its food problem," writing that what we grow and how it's grown "have been a major contributor to climate change, spawned the obesity crisis, poisoned countless volumes of land and water, wasted energy and tortured billions of animals," and that America must figure out a way to "uninvent this food system." Bishop says Bittman and almost all "foodie" writers' fail to acknowledge that "the food industry has been rapidly consolidating, leaving farmers and communities powerless in an industrial system that is controlled by a handful of firms, from seed to grocery aisle." The Obama administration began a massive investigation of anti-trust in agriculture four years ago, looking into seed and meat monopolies, and evidence from farmers and agricultural workers who said less-than-free markets were constricting their lives and businesses. But nothing came of those investigations, and none of the Times food writers took notice, Bishop writes.